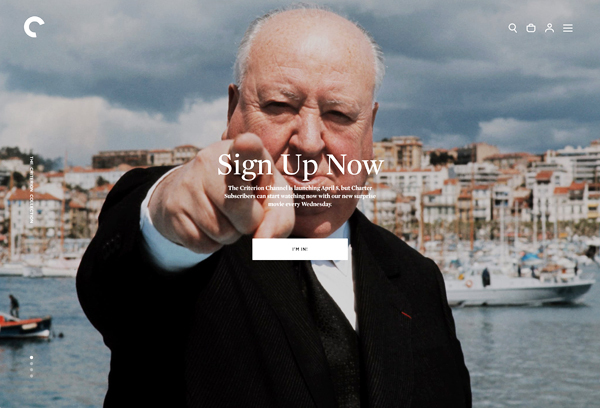 Signed up as a Charter Member of the relaunched Criterion Channel? Good. 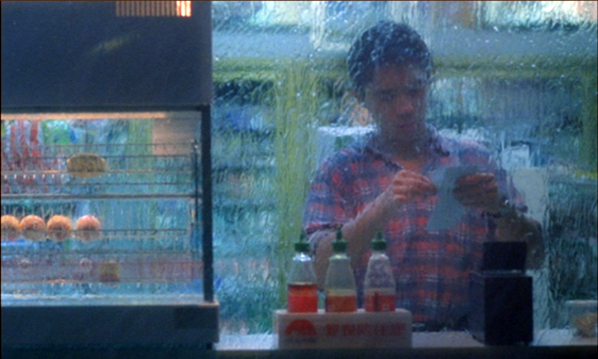 Now you can stream the Movie of the Week: Chungking Express, one of the favorite films of nearly everybody I know. 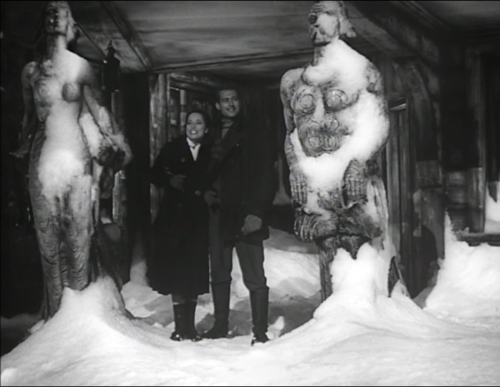 It’s streaming with Tony Rayns’ excellent commentary, personal reflections from Barry Jenkins, and an installment in our series Observations on Film Art. Just running the trailer will get you worked up. If you haven’t signed on and you live in the US or Canada, you should get your free trial pronto. The 30-day trial period doesn’t even start till the official launch on 8 April. That’s two months off, meaning many more totally free, tightly curated Movies of the Week to come. Wonder what next week’s feature will be? Me too. It will drop, as everybody but me now says, on Wednesday. And Chungking will vanish. But just for a while, until the full collection bursts on the world in April. Then you can run Chungking Express every day if you want. Not the worst plan I’ve heard. 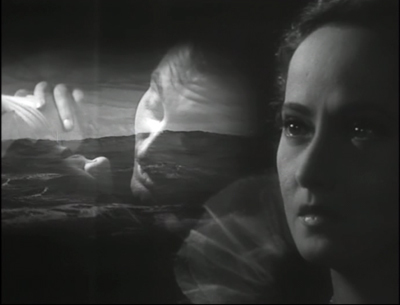 Thanks as usual to all the Criterionistas, especially Peter Becker and Kim Hendrickson. I wrote a personal note on Chungking Express when it first surfaced on the FilmStruck platform of the Criterion Channel. The Criterion Channel is back! Excellent news for film lovers! The new Criterion Channel has a launch date: 8 April for the US and Canada. Go here for details. There you’ll learn that Criterion is already offering a series you can tap into right now. Every Wednesday until launch there will be a new Movie of the Week, along with extras, that you can watch on your favorite device. 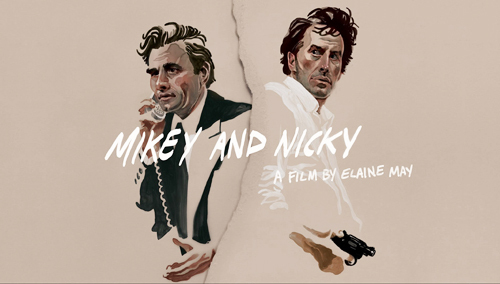 This week it’s Elaine May’s Mikey and Nicky. I haven’t seen it since its first release and now it’s a must for me. This coming Wednesday the next Movie of the Week is….well, let’s just say it’s one of the most popular offerings on the Criterion channel, and now a very rare item on DVD. Media mavens will recall that this reincarnation of the Channel is the result of AT&T’s acquisition of TimeWarner, and hence of TCM. 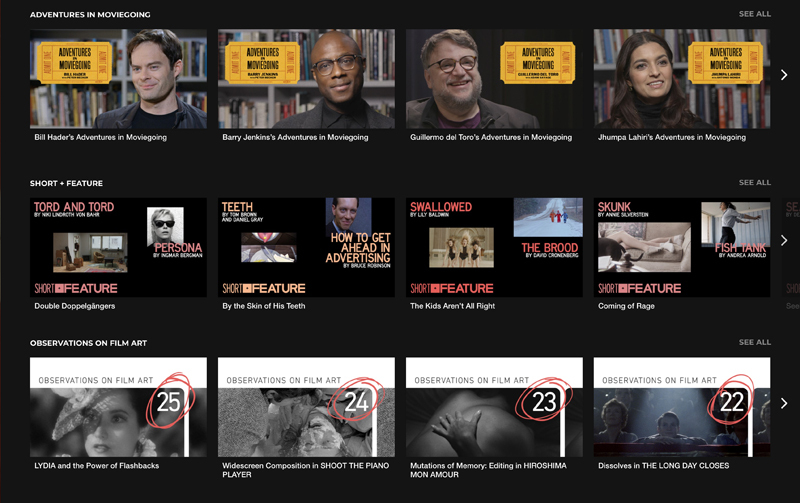 TCM had created the streaming bounty that was FilmStruck, which partnered with the Criterion Channel. But AT&T decided to drop FilmStruck, along with other streaming services it considered niche. What, some asked, happens when ATT constitutes its own streaming service in the fall, as announced? The trade papers have reported that AT&T/WarnerMedia will offer a three-tiered platform emphasizing blockbusters and recent releases. By contrast, the new Criterion Channel aims to reconstitute the lush landscape of FilmStruck. It will of course showcase films from the Janus/Criterion library (numbering over 1000 titles), but it will also program films from all the major US studios (and some overseas ones). Those items will include Hollywood classics, independent releases, and major titles, old and new, drawn from international film culture. Criterion Channel apps won’t launch until April 8. Until then the Channel is available through any web browser, desktop or mobile, and, through a workaround detailed in the HELP screens, on many Roku, Apple TV and some Android TV devices. When it goes live, the new Channel will be packed with all Criterion’s trademark treats. There will be the interviews and making-ofs, the shorts and supplements, the archival discoveries and the running features like Adventures in Moviegoing and Arthouse America and Observations on Film Art (ahem). There will be filmmaker and actor spotlights as well as genre and thematic clusters. 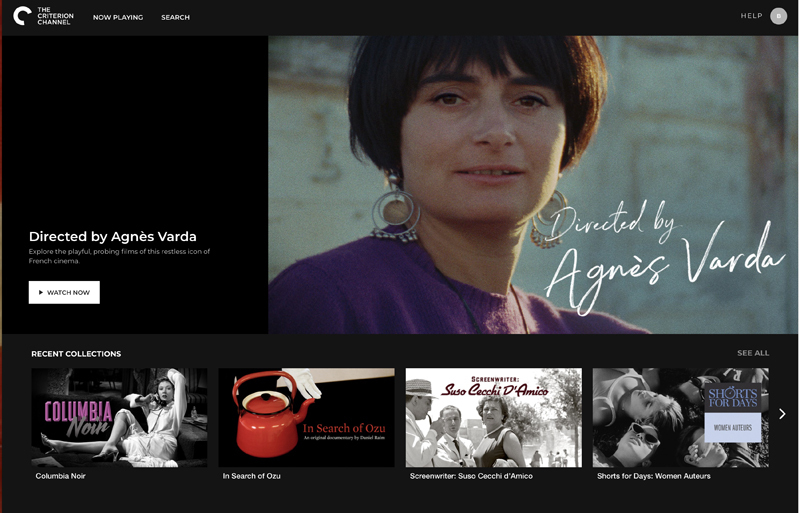 In other words, the hundreds of cinematic treasures will be curated and contextualized in exactly the sophisticated, accessible manner that made the original Criterion Channel nonpareil among streaming services. If you sign up as a Charter Subscriber, not only will you be able to watch the weekly feature, but you can also get a 30-day free trial starting 8 April. A Charter Subscriber pays $9.99 per month (after the free trial) or $89.99 for a year. If you sign up after 8 April, those prices rise to $10.99 per month or $99.99 annually. You can get the basic information on the sign-up page. If you’re reading this blog, you’re probably already a Criterion fan. It would be a wonderful gesture of support if you signed up as a Charter Member pronto. That helps show the Criterionistas that their heroic efforts are getting a quick and powerful response. Believe me, these people care about cinema, and at this point in the history of media we need their commitment to a range of filmic expression. So intense was their dedication to service, when the Channel migrated from Hulu to TCM they didn’t skip a beat; in fact, there was a one-day overlap. These folks are intensely committed to connecting great films to the audiences that appreciate them. The Criterion Channel, like the Criterion Collection on disc, is a living archive of masterful moviemaking. You probably know that last fall dozens of major filmmakers wrote to Warners to proclaim their support for the streaming service, and a petition to AT&T garnered over 100,000 signatures. Now all this loyalty has paid off. Did I say loyalty? I meant devotion. 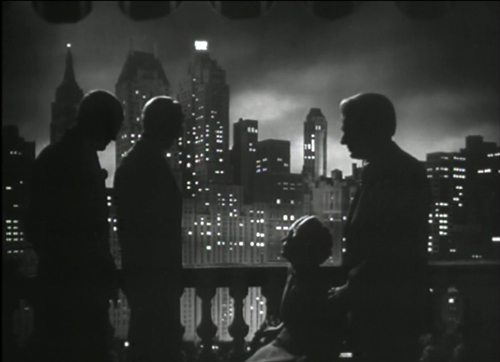 Here are some blog entries that give you the flavor of what Kristin, Jeff Smith, and I provided on FilmStruck. Those, along with other original programming Criterion developed, will be available on the Channel. We’ve already got three installments ready to go for the new platform, and we’ll record four more at the end of this month. A startup: Kristin and I visited Criterion HQ to arrange for our series in June 2016. 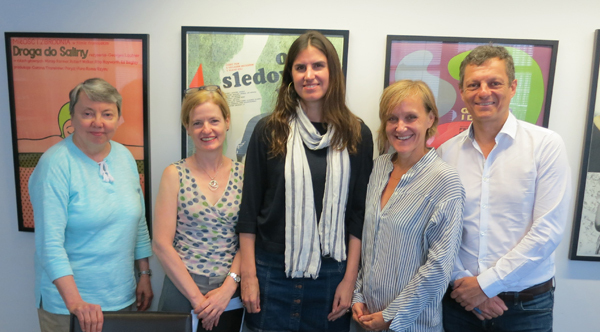 Here she is with Liz Helfgott, Penelope Bartlett, Kim Hendrickson, and Peter Becker. Sunday | February 3, 2019 | Criterion Channel, Film comments, FilmStruck | Comments Off on The Criterion Channel is back!